​Destiny as dedicated to providing a comprehensive musical learning experience for young people, pre-kindergarten through high school. Our strategies, within a structured program, develop the interests and abilities while improving cognitive social and motor skills. ​We envision a center opened to all young people interested in exploring the world of performing arts. No matter what their interests are concerning dance, music, or technical support we will provide a quality experience. Destiny Live Center for the Performing Arts has a curriculum that is challenging and fun which allows our students to expand their imaginations and enhance their creativity. As a result the youth in our programs will be well grounded to meet life challenges. Your Help is needed. Destiny Live Center for the Performing Arts is need of a building. We have children waiting. Your donation is important. Please donate now. 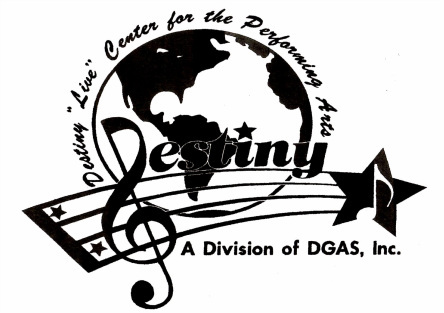 Destiny Live Center for the Performing Arts is a non-profit organization made possible by contributions and donations from supporters of the arts like you.